Middle Eastern carrier Etihad is trying to borrow $600 million USD to buy new aircraft for their fleet. This appears to be a turning point for the airline, as they try to put their previous history of bad investments and financial roadblocks behind them. Originally, like many of the other Middle Eastern carriers, Etihad had quite a large order of aircraft on their books. This included 25 brand new Boeing 777x-9 jets and 42 Airbus A350 aircraft, as well as a fleet of 43 Dreamliner aircraft. But, as their debt increased from bad investments like Air Berlin (up to $4.8 Billion USD), they were forced to restructure their business. This included stripping back financial commitments, including halving their Airbus A350 order down to 20 and cutting their 777X-9 order to only five. Etihad will need cash in order to finance the first payments on these aircraft, hence the request to borrow just over half a billion dollars. 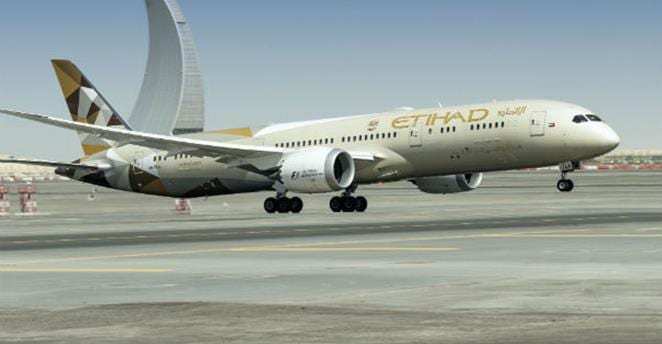 Whilst Etihad has declined to comment on this story, saying they “don’t comment on rumors or speculation”, it is believed that they are attempting to secure a loan on their own (without government support). The loan would be unsecured and be paid back in one to two years. Whether or not any financial institution will take them up on this offer remains to be seen. How did Etihad get into so much debt? The first part of this puzzle is understanding that Etihad is in a deep rivalry with Emirates. Despite the fact that they are both national carriers of the same ‘country’ (different Emirati of the United Arab Emirates) they consider themselves in direct competition. Part of the business model of these Middle Eastern carriers is to first rapidly expand with a large long haul fleet, then invest in other carriers around the world. Airlines such as Qatar* have done very well in this regard, now owning large chunks of carriers like Iberia and British Airways. 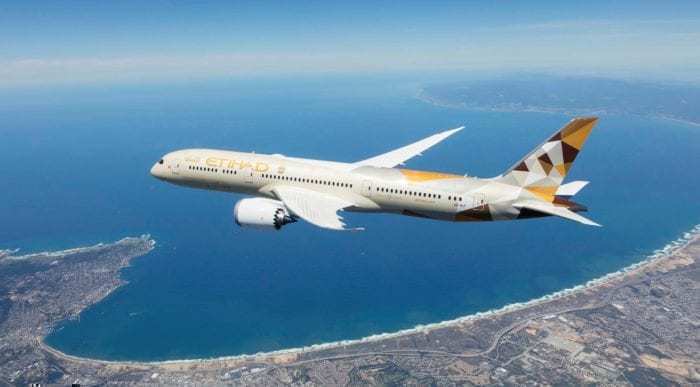 So it has followed that Etihad, the youngest of the three major Middle Eastern carriers, has attempted to build a massive fleet and invest in smaller airlines. Some of their investments have been successful, such as 10% of Virgin Australia and Air Serbia. However, others have been outright disasters, such as Alitalia, Jet Airways and Air Berlin, with two of the three going bankrupt. They have since faced legal trouble for their decision to cut off financial support for Air Berlin. Etihad Boeing 787. Photo: Etihad. *A little note about Qatar, American Airlines, Delta and United have all claimed that Qatar has received over $7 Billion USD from their government in order to buy aircraft and invest in other airlines. So we would suggest taking this business model with a grain of salt.